I live in Tucson. As such I do not suffer from an affliction called spring fever. I never wish an end to the winter, because an end to the winter means triple digit temperatures and a literal hell on earth. I guess I suffer from the inverse, fall fever, where around November I wonder why it is still 90 degrees outside. I do, however, look forward to spring, much like all baseball fans, because it means baseball season is starting. Living in Arizona I usually intently follow spring training, reading team previews and going to at least a few games. This year, however, I am pretty busy with work and I’m not able to keep up with the festivities like I have been in the past (a resurgent Arizona Wildcats basketball team is also competing for my time). This is probably the first spring in a few years that baseball is not the dominant force for me. I’m hoping that by the time mid-March rolls around I will be able to devote some time to baseball, if for no other reason to keep me cometitive in my fantasy league. 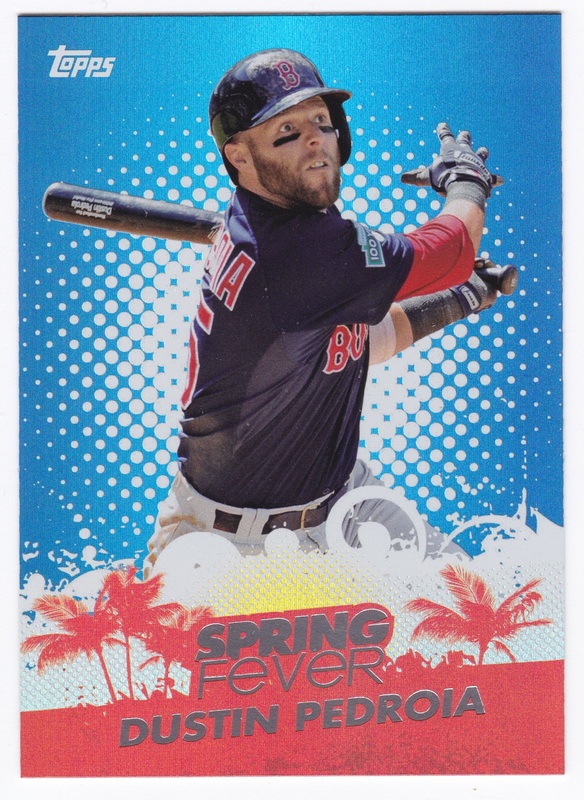 In the meantime Topps has reminded me that Spring Training has begun through their Spring Fever redemption program. 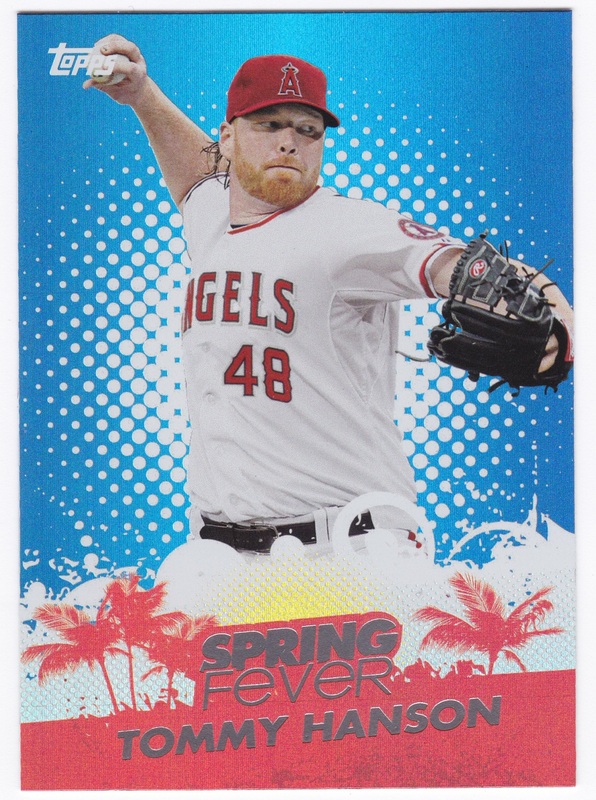 Topps inserted one Spring Fever redemption card in each hobby box. 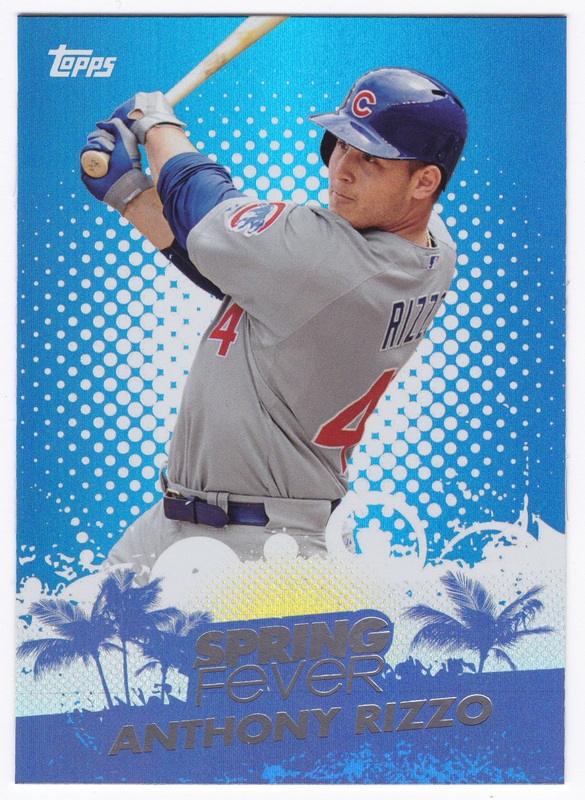 The card is good for one pack of special Spring Fever cards redeemable at your local hobby shop (this is my local hobby shop). The cards are only redeemable from February 20 – February 28, so get to your shop soon. 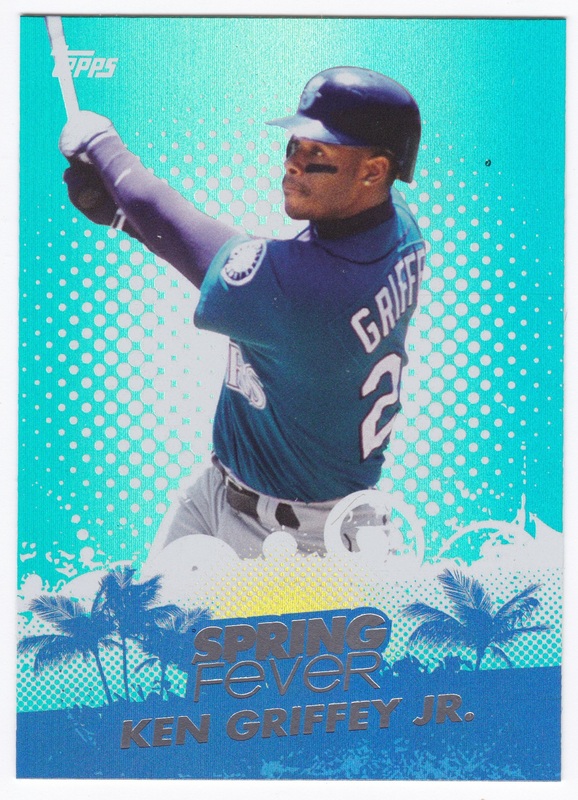 The packs contain five cards and autographs are randomly inserted. Check out the checklist here. Since I only bought one box of Topps, I only get one pack. Here were my pulls. As you can see no autograph and my only decent pull was the Griffey. I won’t complain, though, because it is a free pack. The design is highly stylized and shiny. As far as shiny cards go these aren’t so bad. They are more high gloss, with some foil, than they are chrome. 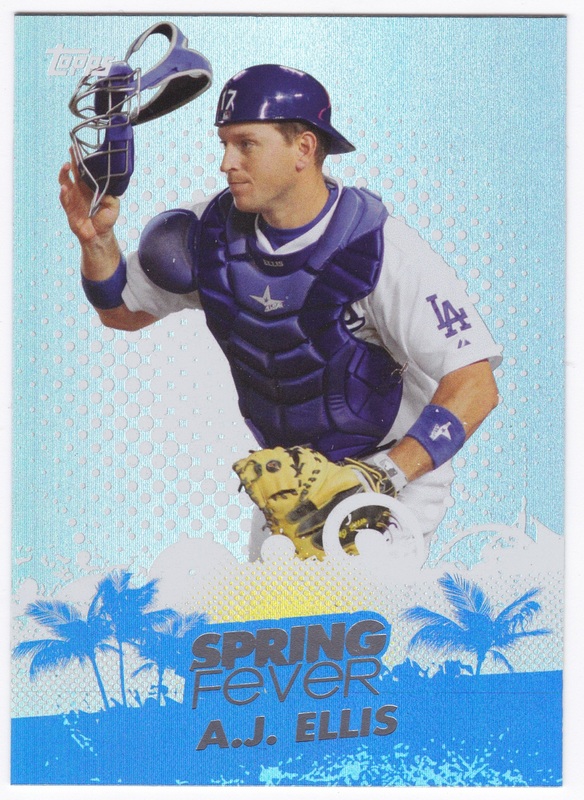 The spring training theme is evident with the palm tree design. I do like the team color coordination. Given the limited availability I anticipate they will have some decent ebay returns.